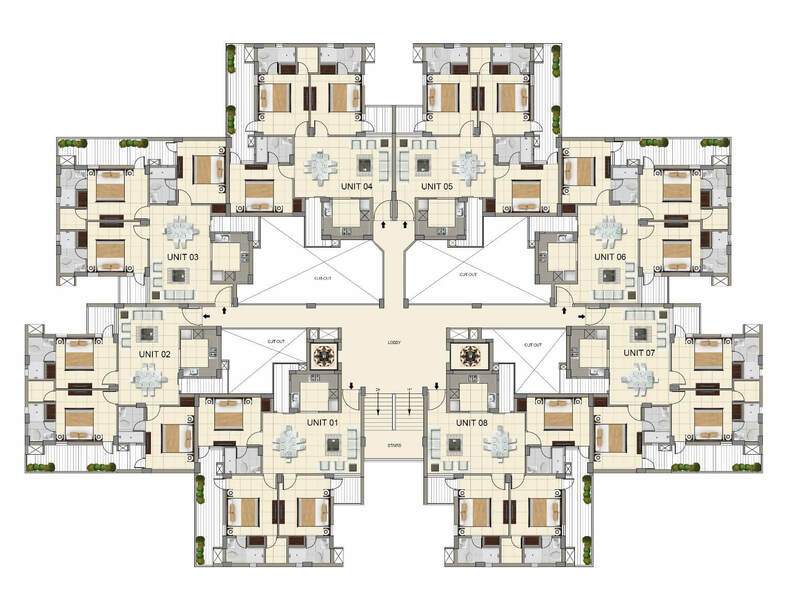 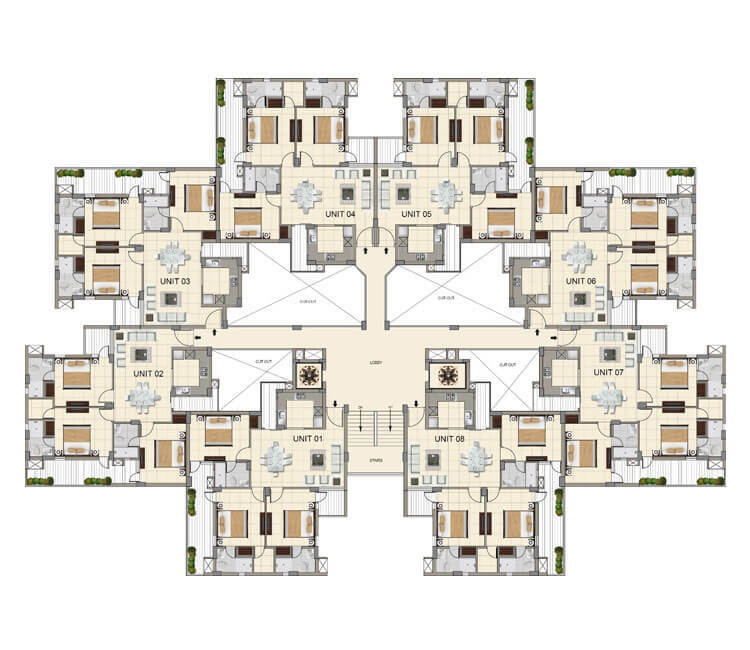 Layout Plan 3 BHK Flats/Apartments in Zirakpur (Chandigarh Capital region). 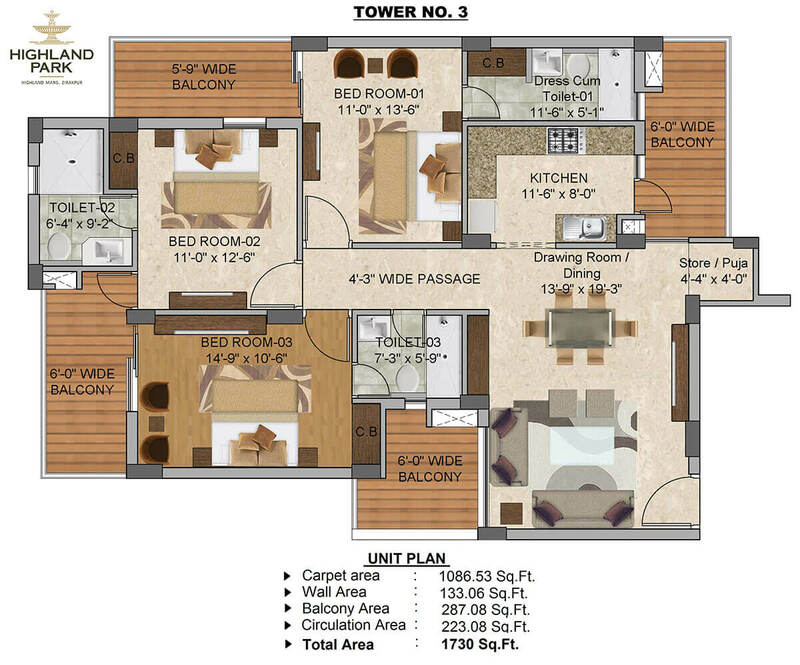 Area 1730 Sq.Ft. 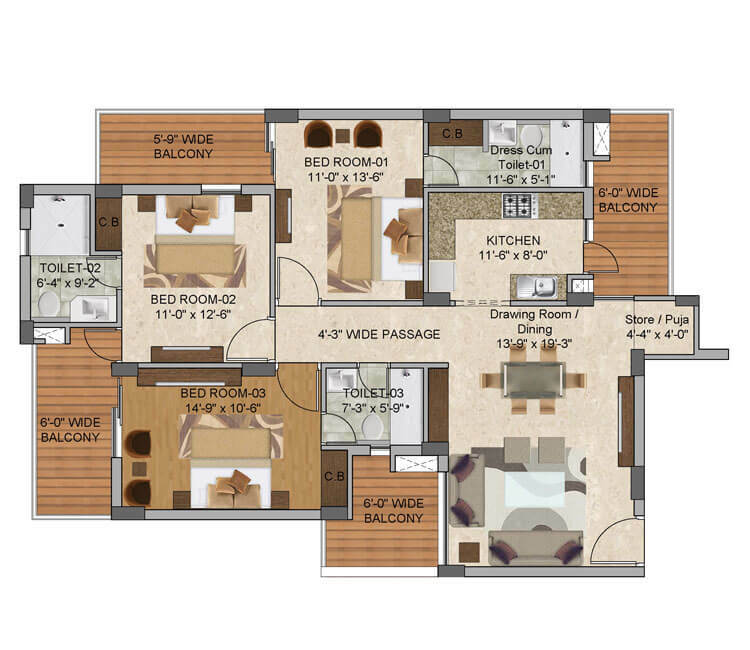 3 Bedroom + 3 Washroom + Modular Kitchen With All Luxury Amenities.